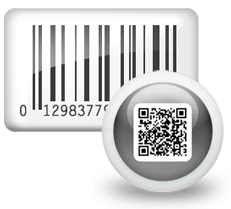 In Barcode Designing view, select barcode technologies and type. 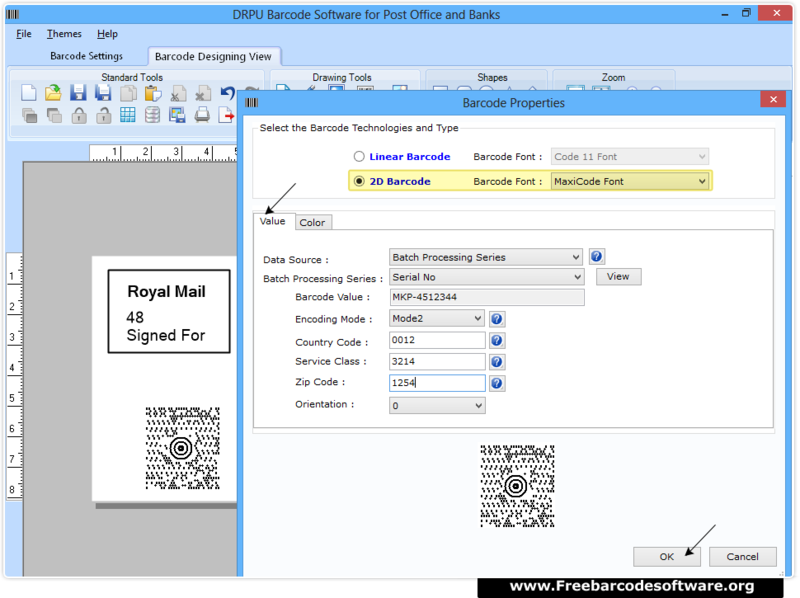 Go to value tab, choose data source (Manual or Batch Processing series) and enter other required fields. 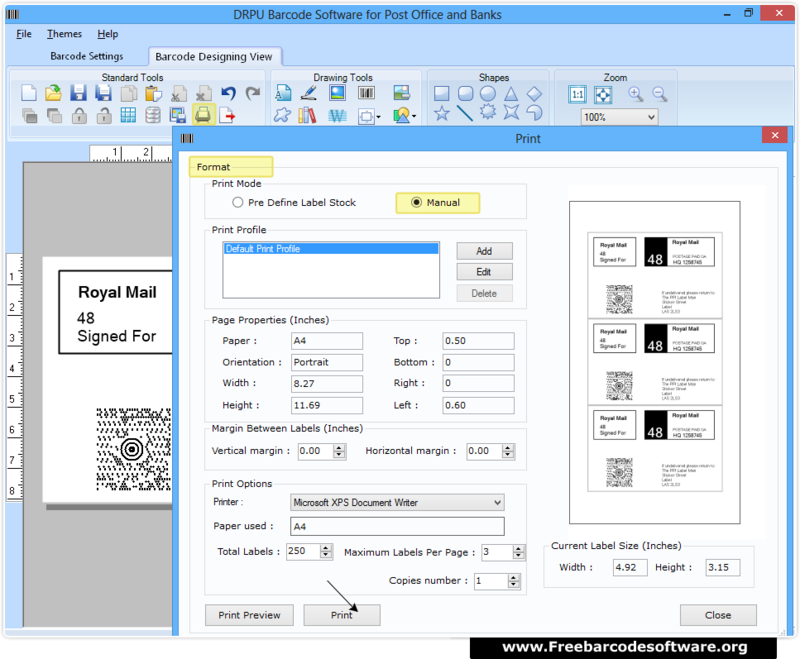 Go to print option and choose print mode (Manual or Pre Define) and fill other fields accordingly.